When our client LIV Real Estate & Brokerage informed us of the Floating Seahorse properties in the Dubai World Islands, there was really only one way to proceed. 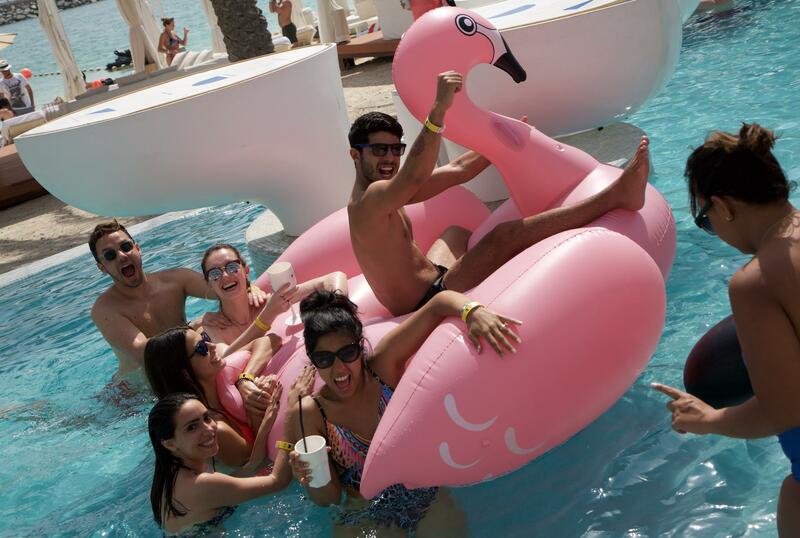 Whisking away 10 of Cairo's hottest movers and shakers for one luxurious weekend of a lifetime, we gave our guests a first and exclusive sneak peak into Dubai World Island's cut-out-of-a-dream, partially submerged Seahorse villas. Stepping out of the hustle and bustle of Cairo and into the future, Dubai, at first light of Friday, we dolled up our ladies in Designer 24 dresses and dappered up our gents in West L.A. for some morning glamour. 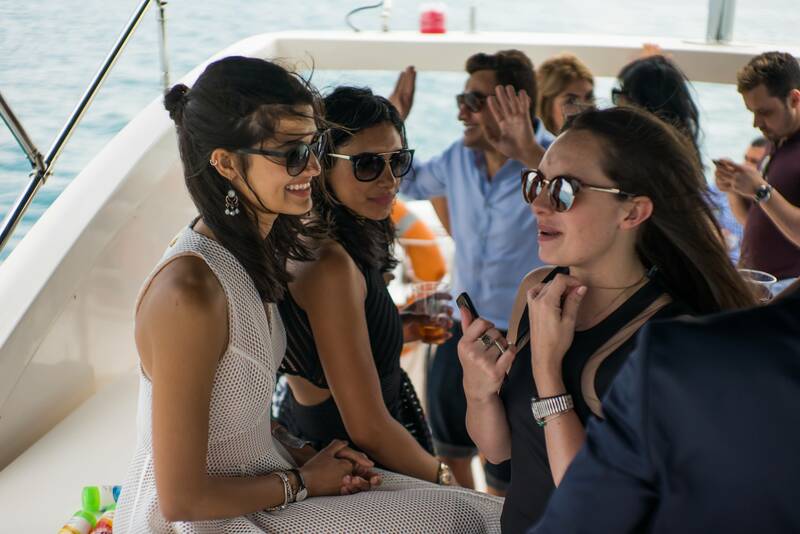 Ready to be escorted to their private yacht, a selection of Cairo and Dubai's hottest movers and shakers were taken on a breezy ride to the Floating Seahorse where they were greeted with bubbly! As Fait Maison's delicious catering satisfied every taste bud, our guests marvelled at the cutting edge design of the villa. With a lavish above the surface living area and a bedroom under the deep blue sea, getting back to land was a task in itself. With the sea having our socialites work up and appetite, some fine dining at Toko Dubai really hit the spot. But it's not a signature MO4 experience without some late night shenanigans and so we danced the night away to the hottest RnB and Hip Hop beats at our VIP table at Movida club. After a relaxing sleep, the following day was spent lounging at Eden Beach Club and as the evening rolled in, our fabulous trip ended on a high note with fiery Latin beats and a delectable dinner at Coya restaurant, Four Seasons. If we learnt one thing, it's that down where it's wetter true is better, especially when your in the middle of the deep blue sea in the Heart of Dubai.